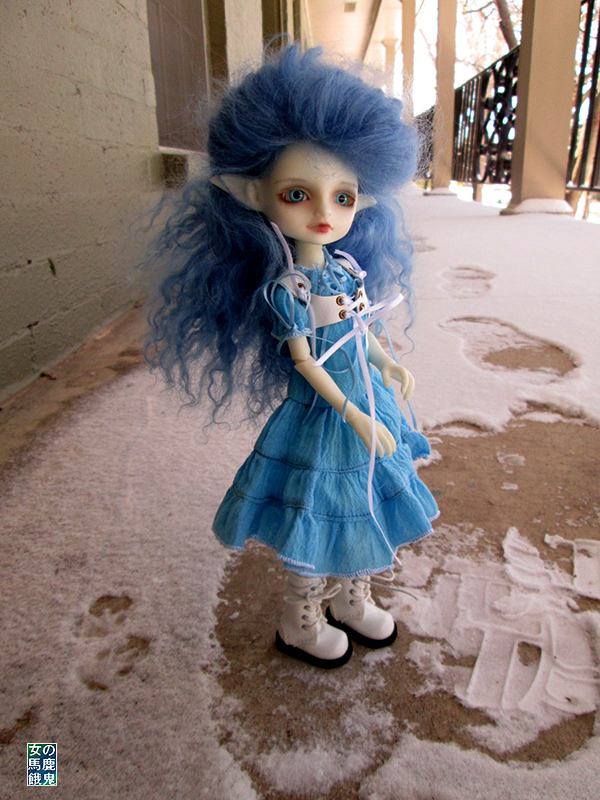 Glyd has never been out in snow since she has been with me. That is sad for a frost fey. The piddy paws behind her are larger than her feet. 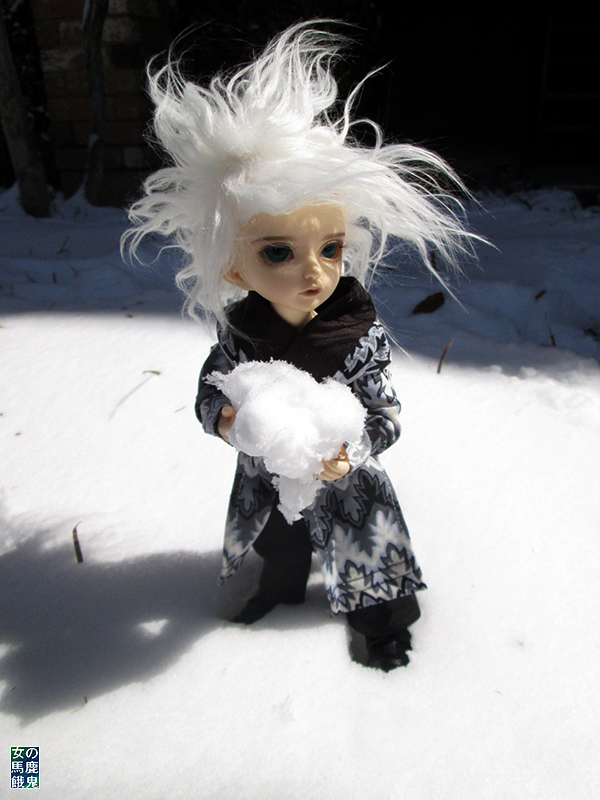 Glyd hopped over into the snow and enjoyed how deep it was on the walkway. 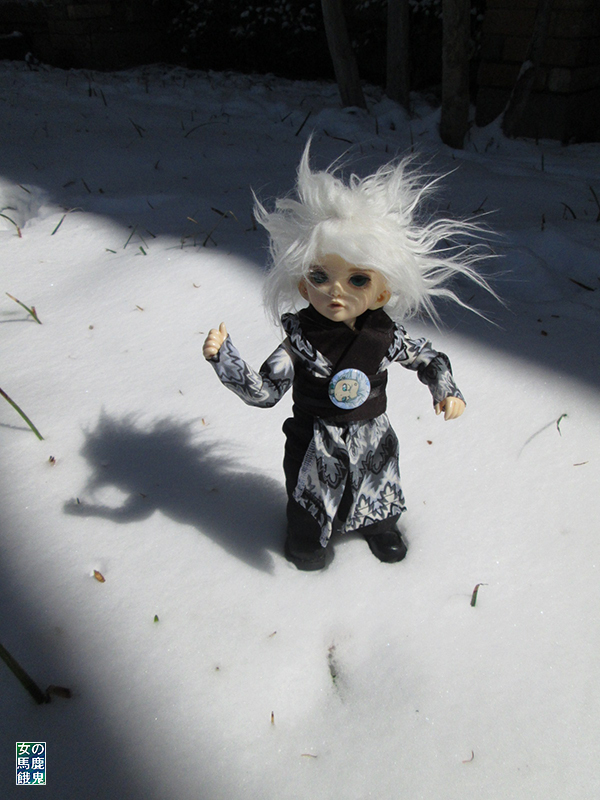 Toshiro-chan was feeling grumpy because he did not get out in the snow earlier. Pissy boy shaking his fist. Don't you dare hit me with that snowball, To-chan! So cute, especially that last one of Toshiro! 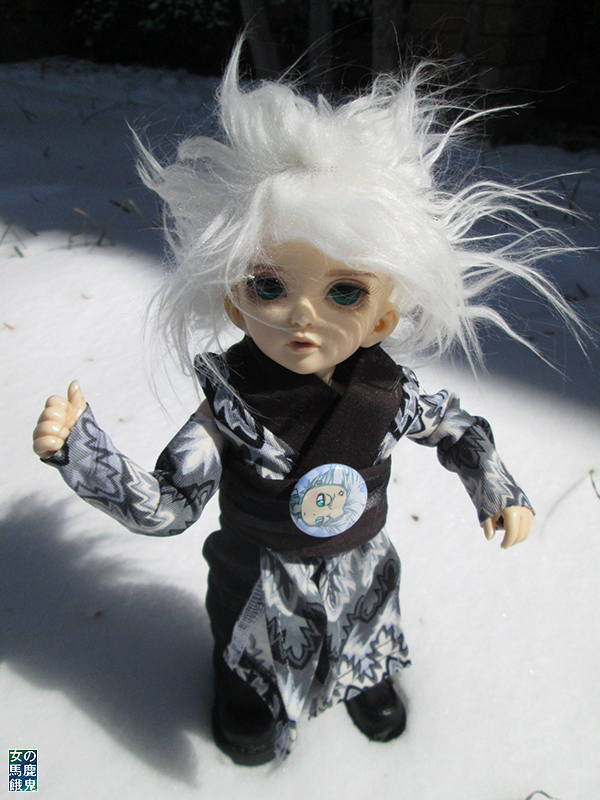 I really need to get To-chan a custom wig. That thing on his head is almost alive.